Hello one, hello all, my name is Manga4life and today I am writing a review of an anime that has struck something of a morbid chord with it’s viewers, this anime has desolate written all over it due to it’s lack of life and it’s feeling of empty space. Today I am going to review Casshern Sins, so strap yourself in Thought Corner readers and enjoy. Casshern Sins is a series that I have heard about through multiple forums on the web that are dedicated to anime, but since it wasn’t dubbed at the time I really had no interest of checking it out even though I felt the plot behind it was kind of neat, plus when I first saw the trailer for the show I thought it wasn’t going to be my cup of tea due to the limited animation and the design of the main character (Casshern). Boy was I wrong. Once I began watching Casshern Sins it didn’t take long until I was dragged in by just how deep the story was, basically, Casshern is roaming a world that has been struck by the “ruin” and everything is either dead, dying or falling apart, as he makes his way through he runs into multiple robots who are looking to eat him because they feel it’s the only way to stop the ruin from affecting them, but of course once they engage Casshern in battle they are easily destroyed because of his skills as a fighting machine. There is a lot of fighting in this series but I felt it does not take away from the storyline whatsoever, in fact, the fighting often leads to situations where the plot thickens and new characters are introduced while everything begins to take a left turn when the blinker in signaling right. It’s really quite intense at times. 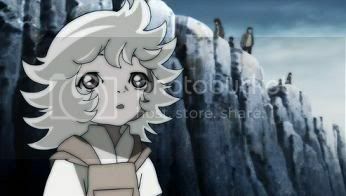 One thing I loved about this series was the supporting cast and how they interacted with the main character and the roles that they took on for themselves, especially Ringo and Ohji, a little robotic girl and her caretaker who follow Casshern throughout his travels and build quite a bond with him along the way, but my favorite supporting character in the series was a female named Sophita, the “Angel of Ruin“. Sophita loved to fight, she loved to fight so much that she couldn’t be happy unless she was engaged in endless battle, in fact, she even tried to kill Casshern because she felt she loved him so much that the only way to express her love for him was to end his life through an avenue that would make her feel happy inside. It was actually quite genius to see unfold before your eyes and the episode she appeared in was really touching, when you get around to watching this series I would recommend keeping an eye out for her as I felt it was one of the best episodes in the entire series. As Casshern makes his way through the world he runs into countless robots that he ends up killing, multiple sad characters that you just want to reach out to and offer a lending hand to, and even a human who kind of puts things into perspective for Casshern to ready him for what could (and would) become quite a journey. If there is any strength to this series at all it would definitely be within the interactions and the relationships built between Casshern and the characters he meets along the way. Now it's time to discuss the production side of Casshern Sins and whether or not the technical aspects of the series hit a crushing home run like the creative side of it did, first off I think we will discuss the animation within the series and if it stands beside some of the current anime on the market that it's up against. The answer to that would be no. Okay, Casshern Sins is nicely animated and the fight scenes are pretty fluid, but the overall look of the series kind of makes me think that it was animated in the mid to late 90's or something, either that or the animators were trying to make some kind of an artistic statement, either way it's not up to par with other achievements in anime animation that have come out over the past couple of years. With that said, the animation was pretty good and it was probably drawn in a way to make the characters seem as desolate as the world they inhabit, I actually quite liked it regardless of it's limitations and whatnot, I did feel that the character designs were done really good as well. One huge strength that this series has going for it is in it's music, from start to finish the OST in Casshern Sins was absolutely brilliant and the theme used to help bring the story too a close at the end most of the episodes still haunt me and I find myself whistling it from time to time, this anime has one of the best musical scores of any piece of animation I've ever seen (and that's saying a lot). Look up a song called "A Path" from this show and you will see what I'm talking about. Anyhow, it's just about time to bring this review to an end and to list my usual rating system below, but before I go I just want to say how fun it was to sit down and watch this series, it's really left a long lasting impression on me and I would recommend it to anyone who wants to become engrossed inside of a special anime that will most likely leave you with the same impression that it left me. It's an extremely fun, if not immensely sad series that really deserves to be seen by those who are looking for a wildly touching, yet satisfying anime to sink their teeth into, give it a shot and you may just feel the same way that I do about Casshern Sins. A quick look at some BOOM Studios & Atlas Comics titles. I've been talking a lot lately on various messageboards and on Twitter about BOOM Studios and the publishers huge new title called "Soldier Zero" and about the return of Atlas Comics and their first two books called "Phoenix" and "The Grim Ghost", I finally had a chance to shoot some video of me flipping through the first issues and I uploaded it to YouTube (above) for the world to see. Soldier Zero was the best of the three books I'm discussing in the video but all of the books shown in the clip were really fun to read and featured amazing pencils by the artists who worked on them, I honestly would recommend any of these comics to fans who love the medium. Sometime next month when the rest of the BOOM Studios superhero universe is finally on store shelves I will shoot a short video of me flipping through "The Traveler" and "Starborn" so everyone can see first hand what is quickly becoming the most anticipated line of comic books in years. Making video games fun again. I’m glad I approached modern video games the way that I had in this current generation of home consoles, I really feel like I screwed up the last generation by over buying and under enjoying games and I felt like I was rushing through games so that I could start playing whatever the “next big thing” was. To me, that is absolutely no way to enjoy a video game. When I was a kid and the NES was ruling the video game market I only was able to receive video games on special occasions like on my birthday, on Christmas, or for accomplishing special feats like finishing the school year or doing something special for my parents, I didn’t have money to go out and purchase a new video game every week or every other week. Because of this, video games became a special thing and I had to spend long periods of time with each individual game until I got a new one, this allowed me to grow an emotional connection to those games and they soon became a part of me and a part of my normal daily routine, some games I had even played and beaten over a dozen times. Fast forward to the end of the PS1/N64 era and the beginning of the GCN/PS3/XboX era, I was purchasing dozens of games during the calendar year, I had so many games on my plate to play between 2002-2005 that I didn’t even touch half of the stuff I had purchased and the games I did play I never truly enjoyed because I was in the mind frame of moving on to the next game so I could give them all a little play. I was way over my head and ended up only beating a few key games while hardly playing others, there was no emotional attachment to anything I was playing at the time and for the first time in my life I was not enjoying video games. I literally had nothing left in the tank to care for the games I had, or at least it was nothing like I had with the NES/SNES and even the PS1/N64, now this does not mean that there was no good games being released at the time, I was just emotionally spent when it came to the medium and I over saturated myself with product that I had no time for. At one point in 2004, I had both a Gamecube and an XboX hooked up at the house and in one single day I bought 3 games for each system, I have no idea what I was thinking when I did this, but I did it anyway and of those 6 games I bought I think I only played 2 of them. It was sad. I had sold off and traded away a number of games I had between 2005-2006 (most of which unopened) and at some point in 2007 I ended up selling off my Gamecube and my XboX along with almost 50 games for about $400, a year before that I had given away my GBA and sold my DS with a bunch of games via eBay. After sticking to classics from the NES, SNES, 3DO, N64 and PS1 for the better part of almost 3 years I finally got bitten by the current console bug and I decided that I was going to go ahead and pick out a modern day video game machine. Being a huge Nintendo supporter over the years I naturally began to research the Wii first but I was unimpressed at the games that I read about and I didn't like the idea of having to move around and being active when I play my video games. I also didn't like the controller for the Wii and I didn't like the fact that online multiplayer was basicly non-existent on the system since it was something I was wanting to get into since I ignored the whole XBL experience on the original XboX, sadly the Wii just wasn't for me. 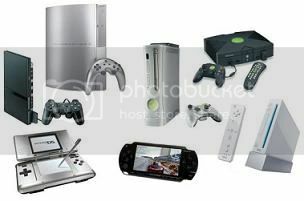 I checked out the XboX 360 next and I was instantly attracted to the amount of games available for the system as well as the fact that XBL is considered the gold standard for online multiplayer gaming, I also liked the controller and I loved the fact that you could download cool multiplayer classics from the XBL Arcade. I was basically sold on the 360 but I decided to research the PS3 just to see what Sony had to offer, but from everything I was reading I was left unimpressed and the XboX 360 ended up being my console of choice. I had one goal in mind when approaching this generation of gaming, the goal was simple, I did not want to get in over my head like I did with the previous generation of gaming and I really wanted to form a bond with my video games once again like I had when I was a child. I wanted to build fond memories that would stay with me for a lifetime like with many memories I have of playing classic games from years ago, I was determined to make it happen and I wasn't going to let an over crowded market mold me into a gamer who spends all their spare cash on video games like I did earlier in the decade. In short, I was not going to over purchase product just because there is a "big release" on the horizon. 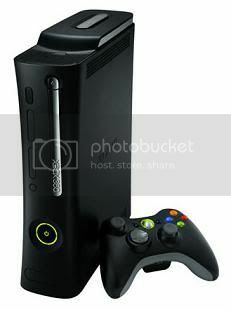 When I purchased my XboX 360 in November of 2009 it came with 2 games, Lego Batman and Pure, and I pretty much played those two games for the next month until Christmas when I received NBA 2K10 and Ben 10: Vilgax Attacks, basically I made it an absolute point to put a huge focus on these games and focus on playing through each one multiple times and unlocking all of the achievements before I purchased any other games. Because of this I have built a relationship with these games and I still play them to this day (a year later), at one point in March I had purchased COD: Modern Warfare 2 for myself and I put all my time into beating the game and playing it online against other players online, ultimately with the help of Lego Batman and MW2 I have finally once again found that fun feeling while playing video games once again. Lego Batman is an absolute blast to play, it has became one of my favorite games of the past several years and I am so glad that I have put the time into beating it multiple times and unlocking all of the achievements, it's truly become my modern day "Super Mario" (if that makes any sense at all). I can say that it's been about 7 months since I've purchased my last game and I have been able to put a focus on all of my games for the XboX 360 without over purchasing or spending myself into oblivion with too many titles to play, I have slowly but surly began to build memories with the XboX 360 and because of that I am really enjoying this generations gaming cycle. I'm sure I'll get a couple of new games for Christmas and when I do I will make sure to really put a focus on them much like I have with the games I currently have now, it's like I'm reliving the 80's and early 90's through the 360 but only with more in depth games and flashy graphics. The end result is that I've found a way to make video games fun once again, and at the end of the day that's all I ever really wanted out of my interactive entertainment.